Greg Steele is a corporate comedy hypnotist. His brand of corporate entertainment is a great alternative to a traditional after dinner speaker. Let Greg help you plan your corporate party. Greg is an experienced corporate entertainer. 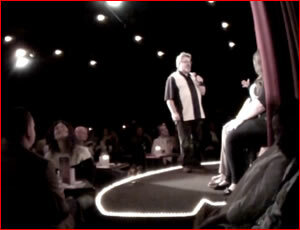 His comedy stage hypnosis show is an innovative option to a motivational speaker. Greg Steele can help you with your corporate entertainment for company parties. I am a past member National Guild of Hypnotists and the National Speaker’s Association. Let Greg Steele help make your next awards dinner or employee party a big success. This Comedy Stage Hypnotist Show is hilarious. It is the perfect interactive audience participation program. Mr. Steele’s comedy hypnosis show provides more laughs than a comedian. 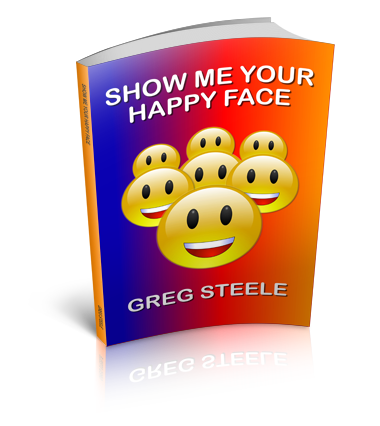 Comedy Hypnotist Greg Steele ensures rave reviews from your employees & guests. Greg’s is a master stage hypnotist. He is a polished corporate entertainer. He offers appropriate corporate entertainment for business audiences at conventions for associations. Greg’s comedy hypnosis show will not embarrassed or offended anyone. Greg performs for training seminars and business meetings. His comedy hypnosis entertainment is perfect for training seminars and company sales meetings. Everyone enjoys a business program with universal appeal. Exciting floor shows and stage hypnosis shows are available. G and PG ratings are offered for all types of corporate events including: company banquets, employee parties and awards dinners. Hypnotist Greg Steele’s Comedy Show is clean corporate entertainment. 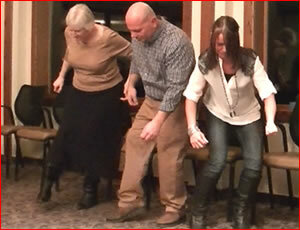 It is an appropriate group activity for employee banquets and retirement dinners. His comedy hypnosis show can help make your corporate event a big winner. Having a gala fundraiser? Greg’s comedy hypnotist show is the perfect headliner entertainment at chamber of commerce events. Greg’s entertainment for business audiences can help clubs and organizations around the nation. Greg Steele’s corporate entertainment is 100% clean. His comedy hypnosis show is tasteful and corporate friendly. You will be more comfortable knowing that the comedy hypnotist entertainment you’ve selected is non offensive and tasteful. I can help you business meeting become a big success. I perform interactive comedy entertainment for business groups. Best of all, you never have to worry about off color material as all of my programs are in good taste and I will always treat your audience with respect. Hear the laughter of everyone attending the comedy hypnotist show. Your audience will have fun and participate in this highly memorable interactive hypnosis program. Feel the excitement of your employees unfold as imaginations blend with creativity in this high energy activity. This hilarious comedy hypnosis show is one of the best types of corporate entertainment . Imagine seeing your audience become the Stars of this hilarious Comedy Hypnosis Show. Greg will help make your company event more fun and more successful. Greg is the right corporate entertainer to breathe new life into your corporate events. He’s the perfect business entertainment for sales & staff meetings. Greg’s corporate entertainment is popular at company parties, business seminars. Specializing in comedy hypnotist entertainment for employee dinners, conferences, holiday parties. My entertainment is the perfect fit for recognition appreciation dinners and award banquets . Corporate event planers can rely on Greg Steele. Greg is the comedy hypnotist who is an entertainer with over 25 years of experience with corporate groups and large organizations. I provide first class service that you can count on! I will always treat your business guests with respect. Find out how to create memories that will make your next corporate event even more successful. Call me today to request a quote or to check the availability of your date. My comedy entertainment is a change of pace from other boring entertainment for company holiday parties, business meetings and training seminars.